We cannot deny the fact that the world is becoming even more social, all thanks to the internet. From the way we go with our personal lives and even with our businesses, we find ourselves slowly adapting to this new normal. Exploring what we have come to know as social media is Stefanie LaHart from BoomTown Marketing. Stefanie talks about marketing and effectively using Instagram in your real estate business. As a social media marketer, she shows off her expertise by laying down how Instagram is the go-to platform, while weighing down the rest – from Facebook and Twitter to LinkedIn. 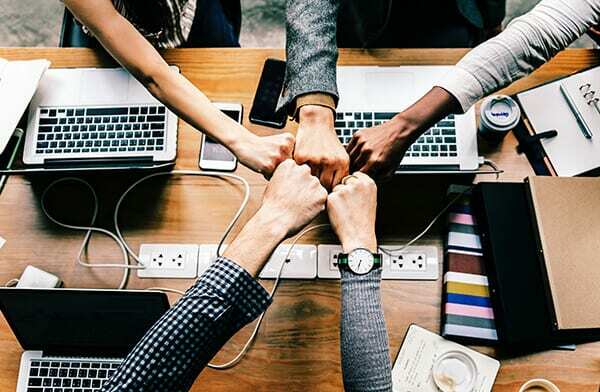 Stefanie also clarifies what social engineering is all about and provides great tips and tools that will help people get their marketing boom. We have a rock star here. I’m so excited to have this guest. 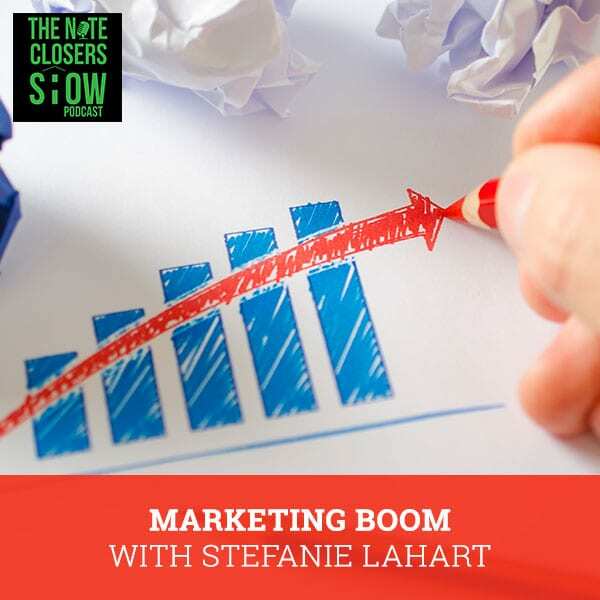 We’re going to call this episode the Marketing Boom with our friend Stefanie LaHart from BoomTown Marketing out of Los Angeles. Thank you so much for joining us on here, Stefanie. How are you doing? I am doing fantastic. You and I had a little pre-roll conversation. Everyone sees they’re having it this week. Then it’s like, “New year, new week. Let’s do everything we need to do for the whole year right now.” I’m like, “That’s a lot of coffee being dragged out there. Let’s all calm down. I like creative strategy.” How about that? I haven’t done anything for a week and I’m like, “Let’s hit our goals. Let’s hit our year goals in the first five days.” That doesn’t happen. Let’s do it all now. I told you though, I love the enthusiasm. What I want to see is people to have that level of enthusiasm in February and in March and be able to keep going. I get a little nervous when people have all these resolutions and they’re making all these changes because it takes a while for those new habits to stick. Most people think it takes 21 days for a habit to kick in. It’s actually 66 days for a habit to get in. Twenty-one days is a great start and that’s getting off the rock and mud. It’s 66 days straight. If you mark that now, that’s literally around the seventh or the fifth or sixth of March if they do it for 66 days straight. I’m going to agree with that. Did I tell you that I wrote a book? No, let’s talk about it. It’s a great idea. It ties in with the whole habit situation that you were talking about because it did take me literally 60 days for the writing to become such a habit that I was rolling through it. I had my book done within four months and then after that, I still kept with my schedule. I was getting up at 5:00 AM every day because then it was such a part of my morning. I wanted to affirm that you are entirely right. It does take about 60 days for that all to roll in. We can talk about my book too because it has to do with social media, but it’s a fiction book. Let’s talk about it. Talk about the book. I’m excited to hear that. You are the first person I’m announcing it to, but I wanted to do it here because it ties in with podcasting. It ties in with everything that you and I have been talking about, which is talking about what you know best. Whatever your niche is or whatever your passion is and what you have the most knowledge, you find the most joy and you find the most audience when you are talking about that and delivering it to people who also have an interest in that. I see that with your podcast. Your podcast is so interesting and great. I’m so grateful that you’ve introduced me to the whole investing industry because those people are so into it and I love that. On my side. I’m all about social media. That’s what I do. I’m a social media marketer and I had this idea for this book that is based in the world of social engineering. Just to clarify what social engineering is, a social engineer is what we qualify things like vishing and phishing. In a nutshell very quickly, that’s when you get those little nasty emails that say, “You’ve won $1 million. You just need to call this number or claim this or do whatever.” That’s all called phishing. That’s social engineering where you’re hacking human emotions and human responses in order to get a response. Usually for a situation that is illegal. That is what we call phishing. Vishing is where you get a phone call the same way, “I’m Publishers Clearing House. You won Publishers Clearing House. All you need to do to claim the money is send us $5,000 in tax money.” I mentioned that specifically because unfortunately, that happened to a friend of mine. I wrote a whole fiction book called The Winning Number. It’s all about what happens when this social media professional tracks this person down and then bust open this entire scam ring. It was so much fun to write. You have no idea. I got to use all my skills and it was all the stuff that I already knew. It was the easiest thing I’ve ever done because I’m like, “I know how I would do this and this would work.” I’m excited and it gave me the idea for a whole trilogy. That’s book number one, where she discovers a scam and then book number two is busting open the whole scam ring. The third book takes place at DEF CON in Vegas, which is a huge hackers convention that’s been going on for over 25 years. They have a big competition during it called Social Engineering Capture the Flag. What that entails is that you go on stage and in front of 500-plus people, you social hack a Fortune 500 company on the phone and you don’t know the scope. I took part in the competition last summer. I had the second highest call score. That’s how hard I rocked it. In fact, Chris Hadnagy is the gentleman who runs the competition. I even have him on video saying, “You blew us away.” I wasn’t even aware of this competition before I started writing this book. It was all part of research but anyways, book three takes place and all that and hopefully I will be in that competition again. It’s all coming together. It’s been a big exciting year. Marketing Boom: Don’t worry about everything else because you won’t have the time and the resources to do everything. We originally met at Podfest in Orlando. You were running all the social media for Chris and those guys over there and they do a great job. Are you going to be back at Podfest? I am. I’m running their social media again. All the stuff you’re seeing happening there is all me again. I will be attending, I will be speaking, and I will also be running around doing live social media like I was. Which means I’ll be the person in front of your face trying to capture photos and videos. It all started at Podfest and because of hanging out in that community with those guys, I also launched my first podcast last year. My podcast is called The TraDigital Podcast, which is a combination of traditional with digital. It’s a crossroads of where traditional PR meets digital marketing. It is hosted by me and my best friend, Sharon Noot, because she is all traditional PR and I’m the digital marketing girl. I consider myself half-cyborg as it is and it’s been fun. We did twelve episodes and I will do even more this year and we’re happy about that. It’s a great episode. I subscribed to it. It’s funny listening to your conversations back and forth. It’s funny because you’re very energetic and Sharon is a little bit of a Debbie Downer or something. She totally is. Every time we do a show and as soon as the show is over, she goes, “I feel like the old mother hen downer.” I was like, “You listen, sister. That’s who you are.” She’s caught in the voice of reason. I’m always the one that’s all bright and shiny, let’s just do that. She does bring up a lot of good points and just through our conversations, I’ve learned so much. I jumped on all the new stuff and sometimes she’s like, “How’s that going to play out?” I’m like, “You’re totally right.” We have a nice balance. The funny thing is we’ve been best friends for twenty years. I have to tell you, she’s a lot more fun in person. I don’t doubt that for a second. You can tell that just being around you’re a fun person to hang around with. We had you on Note CAMP. You’re on the highest ranked episode section seriously for Note CAMP. People loved your Instagram breakout session that you did on how to keep your skin rocking for real estate. It’s a phenomenal job with lots of great reviews. I had people that attended reached out to me afterwards. I helped them one-on-one personally with their Instagram and it was fun because they were into it. Instagram is a way to do a lot of great free marketing if you’re in the real estate or investing business. It gives you a great opportunity. Anything with those little visual snapshots like that and it’s easy. Facebook made it very hard. My recommendation for a lot of my clients these days is to do something a lot easier like Twitter or Instagram or Pinterest and even Snapchat. I feel like Facebook at this point has become a bloated hog of nonsensical information half the time. They’re not showing business posts like they were. It’s very hard as a business owner to utilize Facebook the way we used to. People need to be aware of that because I don’t want people wasting time. There are days where you’re posting twenty times a day on Facebook. I tell people post once or twice because for the most part, people aren’t going to see it unless you’re driving them there. Do you find that too? I totally find that. It was around August is where Facebook made the algorithm change. Especially with the podcast, we use live stream and share straight to Facebook live which we’re doing right now. We would share it straight to the business page because I have a bigger follower on my business page but it just dropped dramatically. We need to tweak it up and share it to my personal page and then use Live.ly to share it across the business page. It still doesn’t get the same type of reaction or interaction with the audience like it did beforehand. It’s just a numbers game. What’s that coming down to, that’s not anything you’re doing. It’s Facebook not showing your feed to people. They are literally not seeing it, unless they’re specifically going to your page at that moment. I don’t understand what Facebook’s motivation for that is. There’s always, “We want to make it like this,” that’s fine, but here’s the thing. A lot of people were on Facebook specifically for business and I feel like they’re cutting out a huge section of the audience that they should be developing. Instead of trying to go back to the way it started where it’s like, “It’s just the way that you talk with family and friends.” To embrace that this is a way that people talk in business and in business, you develop real relationships too. You and I became friends because we met in a business setting. We never would have met if we weren’t at Podfest and now we know each other and we hang out and we talk and all that. That came from business first. I think they are shooting themselves in the foot that way. That they’re not letting us develop a relationship first through business and then let it proliferate through a social setting too. Now I talked to you on your personal page all the time. That’s my feelings on Facebook. They need to get their crap together. They need to figure out what they’re doing because they’re harming a lot of things. If they’re going to do that then they need to increase the amount of friends that you can have on your personal page. I’ve been going through and cleaning them out because I’ve been capped out. I’m like, “I don’t know who this person is. I know who this person is.” I’m unsubscribing from things and I got down to 100 people off. Suddenly, I’m getting all these invites from people that I have 300 to 400 connections with. I’m like, “That’s valuable. I’ve never seen this person before” and now I’m starting to see a lot more difference in my feeds. I don’t have the time to go through here and do that on a constant basis. I want it to be very simple. We’re posting. I don’t want to post twenty times a day like you said, or ten times a day to finally get in front of our audience. I want to make it very simple and that’s why we’ve been spending a lot more time, especially on LinkedIn. Using that to grow our audience and now that they have added the video feature to it which is nice to add some video. I love what Instagram is doing. Instagram TV has been a big thing for us to focus on as well, to spend a little bit more time with it because it’s a lot easier to do. It’s not difficult at all. Marketing Boom: In social engineering, what you’re trying to do is build a connection to people. That is something that they still need to build up the audience for it and get people more comfortable with using it. Since we’re talking about social media and everything, I am such a big proponent of there’s all this new stuff all the time and even old stuff, and pick and choose what you’re going to focus on. The way that I work with my clients is that I always tell them to pick one or two social media channels, especially when you’re first starting out and just do that. Don’t worry about everything else because you won’t have the time and you won’t have to do everything. You can start building your audience just on that one specific tool. If people want to get into the Instagram TV and say, “I’m going to do that, then just do that. Don’t worry about anything else.” Instagram TV is going to be a bigger part of my business too because I’m becoming video-heavy at this point now that I’ve got somewhere to shoot and things like that. That was a big issue for me. I didn’t have an office space and now that I have my new office space, I have somewhere that I can actually shoot. I got a text message from somebody who wants to know some of the sneakier things that you’re doing with Facebook to stalk people. With us in the debt space, we’re buying distressed notes. We don’t have the availability to go knock on the borrower’s door and say, “I’m going to buy your mortgage. Tell me about it.” I have been a big advocate of jumping on Facebook, trying to track down our borrowers, see what’s going on. We’ve had some interesting stories like one lady owned a property in Orlando that I was going to buy the note on. She posted on Facebook, “Either I pay my mortgage this month or go to Disney World. We’re going to Disney World.” We found that another borrower was going through a bit of a transition. Basically, she was paying for implants. You hit a button there for some people out there, especially because people are buying assets and trying to stalk people. You got any tricks of the trade you would recommend? You just gave me a brilliant idea that you and I are going to talk about after this. I should put together a whole training and we’re going to call it social research for people specifically in your industry. The healthcare industry is already doing it. The big companies are already doing it. I do have a lot of good tools that I use to find out that specific information. One of them that’s great, you may or may not be familiar with, is a website called Pipl.com. You put anybody’s cell phone in that, everything shows. Your cell phone is such an identifier now. It’s used in so many cases. 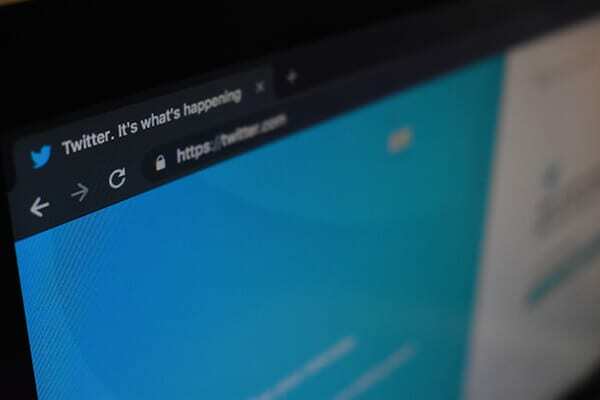 Even your Social Security Number, when you run it through things like that, what it does is it just pulls up any information that’s out there about you online whether it’s social media, public record and things like that. This is not something that’s illegal to go and look for. Everybody has to understand that all of your information is now public. Since they started digitizing things like drivers’ records over 30 years ago where you could see people’s driving records or police records. It’s public records and everything is digital now. You have to understand that. The people you were talking about that were posting stuff on social media about paying their mortgage or not, that is comical because you have to understand, first of all, Facebook is not private. You cannot lock down any information. You can’t be like, “Mine is private. I only have friends,” but they don’t understand how Facebook works. Facebook works on friends of friends. This is what happens if I have my settings set to, “I’ve only accepted twenty people as my friends,” but all of my privacy settings are set to friends of friends. It means that I only have twenty friends but every one of their friends can also see my information. I typed in myself. I pulled the people that I went to college with, the guy that used to have the cell phone years before I had it. I’m dating a guy right now who’s not on social media at all. He’s in security. His information is locked down and he meets me. I’m like, “Do you realize this is my job?” I of course said, “You can go look up anything you want about me.” He’s not into social media. He hasn’t even seen my Instagram. He hasn’t even looked at my YouTube channel. I’m like, “That’s cool.” He thinks all his information is locked down, but I’ve found it. Marketing Boom: Twitter is the horse that keeps running. He can create what they call a shadow profile and then do it through that. Also, he’s not online but his entire family is online. Sorry, I could find your stuff. I can know the name of your dog in an hour. What’s another website that you like after Pipl? Where do you go? Pipl provide you with so many links. I start there and start doing the social searching, whatever social has turned up. Once I get a social account then I start looking at friends of friends. You find out a lot of information about that. If you go to somebody’s Facebook page and it’s locked down, but you can see some of their friends. If you can get into some of their friends and they don’t have privacy on everything. The next thing you know, you’ll see their posts somewhere. When I was doing the competition last year, which was Social Engineering Capture The Flag, they give you a Fortune 500 company and then you have to go online and you do something called ONSIT which is online source intelligence gathering. When you do that, you find out as much information as you can about the company. Then usually you’ll pick an employee or two to zero in on because that can be your access point. In my searching, I picked this one guy. I start doing my searching, he didn’t have that much of a profile going on, but of course friends and family did. I found out that his aunt went to the same high school as I did. I was like, “I’m in.” All I got to do is start talking to her about alma mater, that I’m in her account, then I can see her posting about him. It was good. You use that stuff because in social engineering what you’re trying to do is be able to build a connection to that person. Picture it this way, let’s say he was a higher up at a company like a CEO and I want it to infiltrate that company for whatever reason. They do it for black hat and white hat reasons just to make sure that companies understand the level of security that they have. It’s very easy for you then to find out enough about this person and maybe their personal habits to be like, “I know they live in this area. They tend to go to this Starbucks. I saw a post of their cousin saying, ‘I met John at this Starbucks.’ Why go start hanging around there. I meet them in person.” What happens is I am not just some random person talking to you online. I’m somebody you physically met in person. Do you know what happens in face-to-face meeting? Your authenticity and your approval go like, “I’ve met Stefanie at Starbucks. She’s harmless. She’s so sweet. She’s so funny. She’s a little crazy.” The next thing you know, I’m at their house. I’m not saying I’ve done it, but it could be done. She’s been on time to this day. Isn’t that funny you developed a relationship with her and she feels more liable to you because she knows you probably. You’re not a faceless bank. What do you mean? Who’s going to show up at your house? There are going to be angry borrowers. That kind of stuff. I’m like, “No, because we don’t buy much in Texas.” They’d have to go out of their way to do it. We get random investors swing by the office which is totally fine. Stephanie is a little bit more of an introvert when it comes to security about where things are at which some people are like that. I always say it’s great to be aware but we live in a different time now. We’re in a very digital age. Information is out there. If you’re aware of stuff then you know what to look for. I feel like too, so you can better protect yourself or just put systems in place. Don’t deal with people that are too irate. I’ve been learning so much more about your industry now, it can go either way. Here’s the thing, if you have a mortgage, you just should be paying it, so you’re not the bad guy. That’s the way we look at it. We’re here to help. We all go through financial hiccups. People with the layoffs and things like that. We understand that, but your best is to communicate with us and let’s create a win-win because I will. I’m the bank, I will win at some point. No matter what you try to do. We’ve had those conversations with borrowers like, “I had a great event. I bought a brand-new car.” When we call them, “I don’t have any money.” “I see online that you bought a new car last week.” It changes to a real quick come to Jesus meeting fast when you track that stuff down. It’s open communication. If they’re in a situation where they’re like, “I don’t know what I’m going to do. I need to figure this out,” that’s one thing. It’s funny because people prioritize stuff differently as you saw with things like cars and everything. It’s very easy to be like, “That’s a bill I owe, but that’s nameless, faceless. I don’t have to pay that. I’m just going to do this other thing.” It’s a priority thing. That’s a whole other conversation the decisions that people make. I’m halfway through an interesting book you would love. It’s called Thinking, Fast and Slow. It’s written by a gentleman who won the Nobel Peace Prize for their work on psychology research and all this. It’s all about how and why people make decisions the way they do. You think you make a decision just spur of the moment. Your decision making is based on how our brains work. It’s the only way I can describe it. We sit there and say, “I decided to go and get a cup of water because I was thirsty,” but your brain has a whole way of how you make decisions. It’s based on not only environmental factors and influences and things like that, but the way you process information too which was so interesting to me. I always run more towards the line of people make decisions emotionally, but it is a neurological pattern more than anything. It was interesting to me, especially being in social engineering now because there’s a term called priming. Do you know what priming is in a conversation? They use it in police conversations a lot, where you feed them information in order to get a certain response. Instead of just saying, “How’s your day?” You’ll say something that’s a little bit more leading like, “How are you feeling? Are you still having that back problem?” The next thing you know that whole conversation will be about your health and all that. That’s called priming. 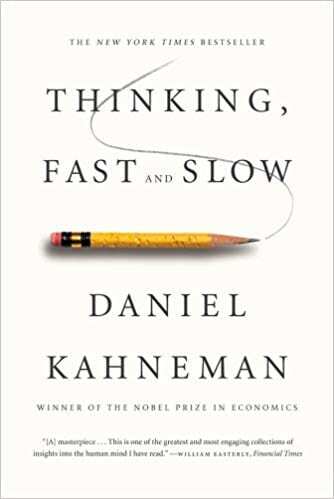 This book goes into what that looks like and why that works because it’s a trigger within your brain. Why you answer questions the way you do. The police know this and the FBI. Half of me wants to go to FBI training now because I’m so into this. That will be book number four. That’s not true. I already have the outline for my next book because I wanted to keep doing trilogies. The reason I want to do that is because I live in LA. I’m specifically in Hollywood and it’s all about getting your book to a movie. Hollywood loves a book that they can turn into a movie and a trilogy is much easier to go to movie. Because I started going to so many conferences, the next trilogy is a murder mystery and it happens at one of these conferences. They go and then one of the conference goers shows up dead. The way they figure out this whole murder is by going to these various conferences and interacting. It all takes place from conference to conference to conference and that’s how the murder gets solved. There will be remnants of Podfest in there, remnants of the Social Media Marketing World. All my experience and little pieces of Finncon in there. All the people that I’ve met. Somebody dies and it will be like clues. Everybody’s trying to squeeze so much in and get everything rock and rolling in January. You mentioned about focusing on maybe one or two social media channels to focus on things. Where do you see the biggest opportunities out there? Especially now you’re learning a little bit more about real estate and what we do on the note side, where do you see the real big opportunity for people to help get their message out or help their marketing boom? We talked a little bit about how you can utilize social media specifically like Facebook to find out information on people. That’s one side of it, but the marketing side is different. I’m going to say that Instagram is still a great place for people in your industry to get their message out there. Not only about what they’re doing but also to find investors when they need them. I know that you guys do a lot with real estate investing, with note investing, and things like that. If you’re looking to build that part of your business, whether it’s through partnerships, investors, things like that, Instagram is a great place for that. First of all, it’s got simple visuals. It’s very easy to login. You only have one thing in your face. Your message is clear. Building your audience through that is awesome. I’m going to say again, Twitter is the horse that keeps running. For as much as people say, they like to make predictions about Twitter every day. Twitter is dying. Twitter is shutting down. Twitter is the best thing ever. The entire world is on Twitter. Nobody’s on Twitter. Twitter has been a strong horse in the race from the beginning. I would like to see more business owners taking that seriously because here’s the thing, the big guys and the big girls are on it. The politicians are on it. The people in the media or on it. People that are making huge decisions about the world are on it. The name who we shall not speak is on it. I think that’s a place that more business owners need to take seriously and not sit there and be like, “I don’t understand Twitter. I don’t like Twitter,” because it is not only a great place you can do research, people don’t lock down their Twitter profiles. It’s a great way to build the relationships because the other spaces can be a little frantic. LinkedIn for me, honestly, I haven’t gotten a lot of good leads out of it. I get bombarded from people trying to sell me stuff on LinkedIn all day long. People who don’t know anything about me or my business. I’m like, “You should probably have a conversation with me first because I might need your service.” There are things like that like you have to say, “I don’t know if that’s working.” I would love to hear how you’re using LinkedIn, how that’s working for you. I like Twitter and Instagram from a marketing perspective for business right now. There was an article that came out talking about where specific niches are spending their time on and what platforms. For the high earners, investors, real estate investors, CEOs, people that we target to either raise capital or do other things with, their spending the majority of their time on LinkedIn and Twitter. Not Facebook, because they’re not getting to their being very professional about it. I love Twitter. I’ve got 10,000 to 15,000 followers on Twitter because I use it. We share a lot of stuff. We share the podcast there. We share the articles on LinkedIn that we write there. I actually went viral after the UT Bowl game. Kirk Herbstreit, ESPN announcer, early New Year’s Day, because they were giving their picks on there and they’re like, “George is going to wipe the field with Texas.” At the very end of the game, he posted a post trying to take back, “Great win for Texas.” It was a great way to build on it. People bombarded him like, “Way to eat some crow,” talking trash. I found an image where he said that, “Georgia is going to wipe the field with it,” and I posted it. I have 400 people opt in to my Twitter feed just about football and UT. It also led to people checking out our website and opting-in to the podcast because they go back and see what else I’m talking about and sharing it too. With LinkedIn, it has changed quite a bit. They used to allow you to export your connections. They changed that. You can no longer export your connections, where you can get their first name, last name, email, job title, and company. Now, you get everything except the email address, which is the valuable part to put it into Facebook for marketing or send an email blast out. It’s still a valuable thing because I target on LinkedIn real estate investors because that’s where a lot of people are looking for deals. That helps us with raising capital. It also helps us in driving people to our workshops. If they want to learn about note investing because they can’t find a fix and flip or an REO. With us doing a lot of stuff with podcasting, I’ve used LinkedIn to book my cell phone over 40 shows the last three months of 2018. I heard you say that on Feed Your Brand. It helped out tremendously. I’ve already booked ten gigs for the year. My big goal is to hit 100 before the year’s out. That was one way I’ve used it to build that audience. I’ll give you an example. I was at 6,000 connections as of the beginning of 2018 and I added 9,000 connections of either real estate investors or asset managers at banks to my database. We market to them and we get people that like our videos, they like our podcast episodes on there. It drives us every day. I do agree with you. You do get bombarded with some stupid things. They are trying to sell you stuff because they don’t pay attention to your profile. I see a lot of our tribe is connected with me on there and communicating and that’s where they’re spending their time taking in the content which is valuable. I get a lot of website developers contacting me because, in my profile, I used to be in website development so they must be searching me and I’m popping up. That’s not what I do now and they’re all like, “If you need some high-end website development.” I’m like, “No, that’s ten years too late but thanks.” I know they’re just searching that part of my profile that pops up. I like what you said about the whole podcasting booking thing. I might have to steal your idea, get myself on some podcasts. Steal it away. I did a search and when I typed in podcast host, it popped 340,000 people on LinkedIn had podcast host in their profile. Then I narrowed it down, I typed in real estate podcast hosts and they dropped it down to 17,000. I changed it to secondary connections and it was like 1,500 people. That’s easy to connect with. I can do a little bit of that at night or turn over my VA to spend some time doing it. It raised capital. It helped us take it going from one-on-one to one-to-many and other audiences. 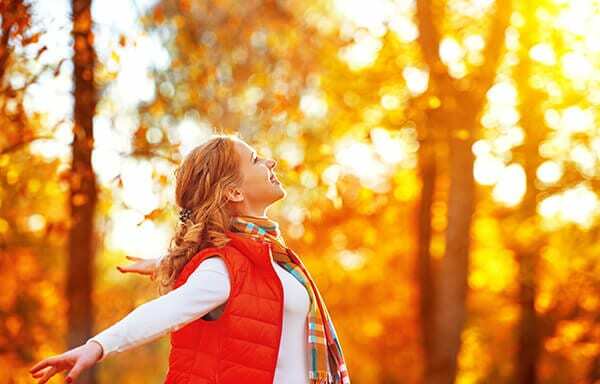 Marketing Boom: The Law of Attraction is having anything that gives you a great feeling when doing something. Are you using Dux-Soup for your contact or anything? What is that? Tell me about Dux-Soup. It’s a LinkedIn tool that helps you connect better. It helps you to find, attract, and engage with your prospects on LinkedIn. It’s a great plugin though. They have a free plugin version that you can install and then it helps you make a lot of connections on there. Try that out. Smarter lead generation. Do you know who turned me onto that? It’s Josh Elledge over at UpMyInfluence. He was the LinkedIn King. He works LinkedIn like be created it. He had used that and he turned me onto it and I was like, “That’s pretty interesting.” A little bit of a learning curve but you’ll figure it out. It’s a way to find those leads as well. They do have a free version and a free Chrome plugin. Hook that up. I am so on this thing right now. Look at that Pipl and Dux-Soup.com, two amazing resources here. It was so much fun when I talked to your investing group and what I said that day was, “If you have a social media profile,” that day it was Instagram. I said, “If you’re not sure if you’re doing it right, just message me and I’ll give you a quick free audit.” I did that for 25 people and I want to throw that out there to the audience. If you have social media, you might be just getting started. You’re like, “I’m not quite sure if I’m even getting into this right.” Anyone who’s reading this, please contact me. I’m sure that my contact information will be in the show notes. I’m going to give you a quick run through. It’s not going to be an hour session, but it will get you on the right track at least. That’s going to be so valuable to you, especially it’s the beginning of the year and everything. We’re trying to figure out what do we want to be doing. We talked a little bit about marketing for the investor and the real estate investor. Take advantage of it. You get my eyeballs for free. It’s not a thorough like one-hour long session, but I will look at your stuff and I will give you an honest opinion and I will give you one good directive that’s going to get you on your road that you need to be on. That’s my freebie gift of the year. We’ve got a question, “Where do you find that add-on in LinkedIn or do you the add-on from Dux-Soup.com?” You do it from the Dux Soup. If you google it, the plugin will come up. It’s for a Chrome browser and you’ll see it. It’s easy to use. I already added it. It’s not hard to do. You’ll love that in your line of work and stuff like that. We don’t take too much of your time here. What’s one big thing you’re looking in 2019? Besides the book coming out and when you do that, let me know. We want to buy a bunch of copies and send it out to our membership out there as well. I’m so excited about this book. Here’s the thing. I want to be a writer my whole life. I have a degree in journalism and it was always one of those things. When I get my career going, then I’m going to be a writer because I wasn’t the kind of person that was like, “I’m just going to only do writing.” There was other stuff I wanted to do. This idea came so fast and furious to me. It was like the easiest thing I’ve ever done. That I was like, “Now, I have ideas for books. My year is going to be about writing all these other books.” I already had my trilogy down and I’m interested in doing more of this engagement stuff like the podcast. I’m super into that stuff. Of course, social media is my job and all that but I’m seeing that we’re making more valuable and closer connections through things like podcasting, through things like special interests. Do you remember the days of the BBS boards? The digital bulletin boards before there were social media. People would have a niche interest and then all these other people would have discussions that you would make lifelong friends and things like that. I see podcasting and things like social media niches like that being built at this year. I don’t think we’re going to see as much blasting as we did. With tools like Facebook where they tried to be everything to everybody and now there’s so much crap on there. I’m excited to see us get to a more personal connection again. I do see that happening and my books and all the books I’m going to be writing. I even have my conversation mapped out that I’m going to use when I’m on the Ellen show. That’s how sure this is happening. I already know what my opening story is going to be to her. I decided over years ago that I was going to start a breast cancer foundation. I have no experience in nonprofit. I not only started the foundation, I ran it for ten years, almost on my own. I raised over $500,000 and gave it all away to women that were dealing with breast cancer. Nobody taught me how to do it. I just said, “Why can’t I do it?” It’s the same thing with the book. I said, “I’m just going to write. I’m just going to do it. I’m just going to run this marathon.” I want everybody out there to do that as well. If you have anything that is just one day you hear about it or you do it and it gives you that feeling, go with that. It’s called the Law of Attraction. Go start listening to all the YouTube videos about it. I am so into that Law of Attraction now because it is true. The more you focus on what you want, the more it does come to you. Once again, Stefanie LaHart from BoomTown Marketing out of Los Angeles. Use the special code when you reach out to her, Stalker. She’ll give you a quick social media preview and give you some insights on some of the things that you can do here. I am so jacked up. It’s been a fun episode, Stefanie. Thank you for being a guest on the show. Thank you so much, Scott. I had a lot of fun. Take advantage of what Stefanie was offering. We’ll be doing more Stefanie throughout the year. We’ll see you all at the top. 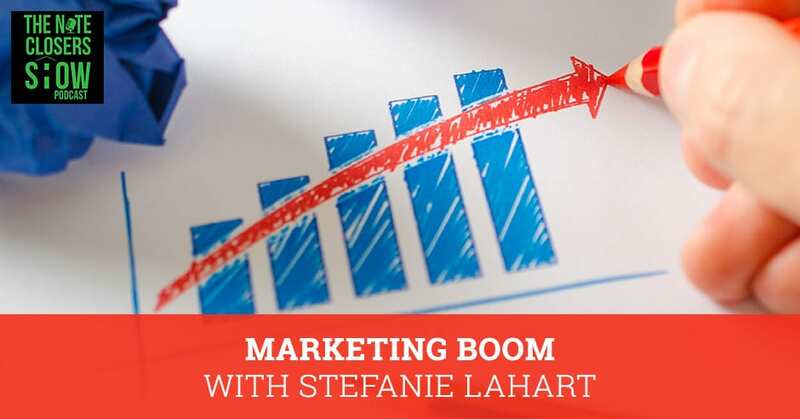 Stefanie LaHart is the President of Boomtown Marketing. She is a consumer marketing expert that focuses on strategy, promotions, and campaign management. She has helped hundreds of businesses launch their online presence and create digital conversations that convert to real-world customers. 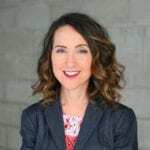 She is the co-host of The TraDigital Talk Podcast, the show that explores the crossroads between traditional PR and new media digital marketing to help businesses and entrepreneurs make the most of their marketing budget. She is a speaker on national stages and most recently was heard at Fincon19 and Podfest Multimedia 18.